Watch the video below to see how a unique design feature prevents digging and "self corrects" the clubface to square at impact for longer, higher-flying approach shots... even on miss-hits! At first our testers were curious. I’m sure a few of them were skeptical, too. We’d just shown these golfers a new club – a hybrid, to be exact – that looked a bit, well, different from what they were used to. The name seemed to pique the golfers’ interest. Then we’d explained how this radical technology worked and how it would benefit their games. Short version: The rails help square the clubface, resist twisting and generate an extra-high launch. As you’ll see shortly, it’s really quite remarkable. A single swing and all skepticism vanished. “Oh my God,” marveled one golfer. “Holy (bleep),” blurted another. It went that way for two whole days, with 24 golfers testing the new club against their own clubs. By the time we were done, all 24 were in lock-step agreement. The secret is in the sole and the iRT-5's perfectly-engineered Machete Rails. You don’t get many unanimous votes these days. But then, you don’t often see breakthroughs like Machete Rails – the force that propels this new club’s unmatched performance. The club in question? It’s called the iRT-5 Hybrid. And we believe it blows away any hybrid you’ve ever hit. We’ve got proof, too, from the 24 golfers who tested it. That’s coming right up. Striking in appearance. • Simple in concept. • Devastating in action. See those five gently curved rails on the iRT-5's sole? Those are the Machete Rails – and they’re gonna help save your game. Far from a cleverly named gimmick, Machete Rails are a truly ingenious technology. What are Machete Rails and how do they deliver cleaner, easier approach shots? 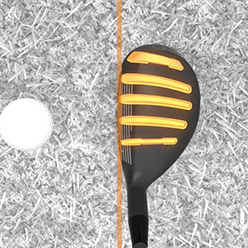 Dramatically reduce clubhead twisting to stabilize the face – a “self-correcting” reaction that makes the iRT clubface actually square up at impact, even when your swing path is off-line. Lower the club’s center of gravity (CG) for a much higher launch – from tee or turf – than you get with conventional hybrids. You’ll be able to carry hazards you’d never dream of challenging with your current hybrid – and stop the ball on the green. With the iRT, you can also say goodbye to the low shot that darts right. Glide across the ground to prevent digging. 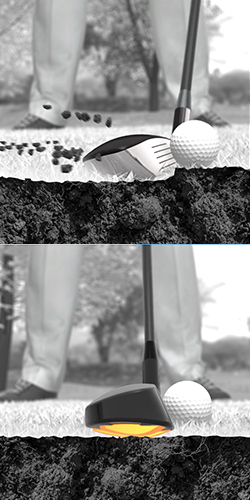 Compared with a conventional hybrid, the Machete Rail sole decreases turf contact by approximately 75%. That makes the iRT positively lethal from bad lies, fairway bunkers, even divots – and darn near impossible to hit fat. Cut cleanly through thick grass for superior performance from the rough. You’ll hit shots out of the cabbage your buddies can’t pull off from perfect lies. Reduce sidespin so you can take dead aim with confidence… and no fear of the ball veering wildly off line. The iRT-5 Hybrid launches the ball higher, straighter & farther… more consistently… from the tee, fairway, rough & sand… even at slower swing speeds. Why? Because the iRT-5 is built for you, the regular golfer – not Tour pros. Did I mention the iRT also fights a slice without causing hooks? It’s true. But I’ll save that for later. I should probably introduce myself first. 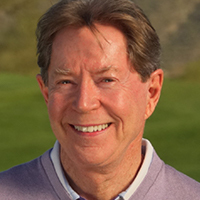 Hi folks, I’m Arron Oberholser, PGA Tour winner and TV golf commentator. When I turned pro in 1998, hybrids weren’t much more than a novelty. Within a few years, hybrids were golf’s Next Big Thing. Don’t get me wrong – hybrids haven’t been a total bust. I think we can agree that in most every way, they’re better than the long irons of old. Then again, long irons set a pretty low bar. Maybe that’s why golfers have settled for sub-par performance from their hybrids. 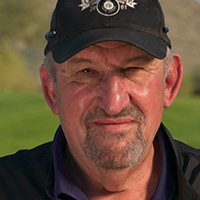 Arron Oberholser, PGA Winner & Network Golf Analyst. Arron is a paid spokesman for the iRT-5 Hybrid. Going back to long irons is no option. And fairway woods offer the same frustrations as hybrids. Sometimes worse. Which leaves you searching for a swing that will unlock your hybrids’ potential. Or experimenting with different hybrid brands, lofts and shafts. Or avoiding your hybrids altogether by gripping down on your 3-wood or muscling up on a 5-iron. By now, you’ve probably tried everything. Only to end up right back where you started. Clearly, though, you haven’t given up. You wouldn’t be here if you had. I must say, I admire your persistence. And I’m happy to say it’s about to pay off. Stop accepting sub-par performance from hard-to-hit hybrids, fairway woods and long irons. After all these years, somebody finally got the hybrid right by building one for YOUR swing– and it was definitely worth the wait. Despite the true story I told you earlier – about those 24 golfers who swooned over the iRT – you probably have your doubts. Who wouldn’t? You’ve been burned so many times, you’re bound to have scars. And while I can scream and shout and swear that this new club is the bee’s knees, I know you won’t just take my word for it. 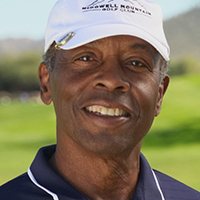 Proof of real golfers getting real results – and preferably, real fast. "The best hybrid I've ever hit..."
"I must've had a surprised look on my face..."
Machete Rails: Technology you can see and feel. We’ll see and hear a lot more from these guys shortly. In the meantime, let’s dig into the details of this remarkable new club. The iRT features 24° of loft and a Hi-Flite steel shaft built specifically to match the clubhead and to launch the ball higher. The shaft promotes a high launch, which most amateurs struggle to get from hybrids, while its lightweight profile helps you swing with maximum speed and efficiency. It’s available in four flex options (suitable for a wide range of swing speeds). I’ll tell you what struck me the moment I saw them: This is technology you can see and feel. Indeed, the Machete Rails literally stand out – a sharp contrast to many modern clubs, whose “innovative” features hide beneath layers of metal and composites. The iRT’s Machete Rails run from front edge to back along the sole, with the outer rails curved ever so slightly… but to HUGE effect. The iRT-5 Hybrid self-corrects on contact with the turf to square clubface at impact. If you’re like most amateurs, you attack the ball on a steep angle. This causes the toe to hit the ground first, opening the clubface and sending the ball dead right. The iRT’s Machete Rails compensate for this action by preventing the toe from digging while steering the clubface toward a square impact position. What’s more, the rails keep the clubhead from twisting as they hit the turf, giving you much greater accuracy from the fairway and rough. They also help you get underneath the ball for higher shots from the fairway and tee. Machete Rails reduce contact with the turf and prevent the toe from digging. "On my first swing, I was shocked..."
"I hit four within fifteen feet of the pin..."
We rounded up two dozen amateurs to test the iRT-5 Hybrid, sight unseen, against their own hybrids and fairway woods. Mind you, this wasn’t a tiny sample set of hand-picked ringers. This was 24 players with handicaps ranging from 4 to 25, and clubhead speeds between 57 and 98 MPH. Chances are, a couple of them carry the same handicap as you. I’d bet that a few share your swing speed, your strengths and weaknesses, your most common miss-hit, and your frustration with conventional hybrids. Believe me, we heard plenty of that. 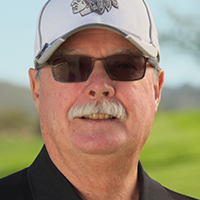 “I’ve never found one I felt comfortable with,” said Phil Buhler, a 4 handicapper who gave up on hybrids in favor of a 5-wood. Traditional hybrids have fallen well short of their lofty claims. Naturally, we welcomed the validation. On the other hand, it meant the iRT was facing an uphill battle. “Good enough” wouldn’t be good enough to win over this crowd. The iRT would have to dominate. Turns out, it was up to the task. And then some. 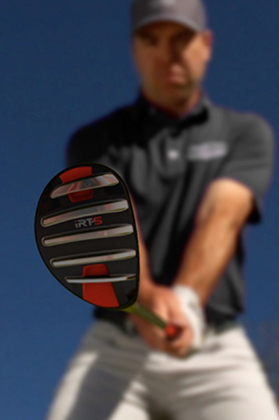 The iRT-5 crushed the test golfers’ own hybrids for distance, accuracy & consistency. It also launched the ball higher – and FAST! They came wielding clubs from companies you’ve surely heard of. 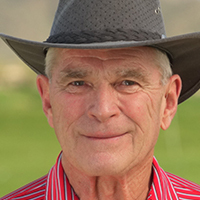 Some, like 14-handicapper Jim Orke, saw huge distance gains with the iRT. Others, including 22-handicapper Paul Magee, enjoyed much better accuracy. Best of all, many of them got an across-the-board boost. Hard data – provided by a state-of-the-art TrackMan launch monitor. Watch the video below to see for yourself. 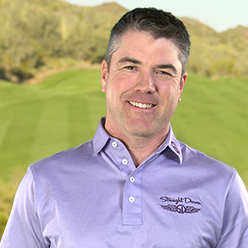 Rob Rashell, Director of Instruction, TPC Scottsdale, and TrackMan Expert, talks about the iRT-5's performance. More distance. Straighter ball flight. Higher trajectory. On pure strikes and miss-hits. They got rid of that dreaded low-right shot, too. Did I mention that none of these golfers had ever seen the iRT, let alone swung it? Or that some of them carried hybrids custom-fit to their specs and swings? And yet, the iRT came out on top. And it wasn’t even close. It didn’t matter where they played from, either. Our golfers tried the iRT from the tee and fairway, of course, as well as the rough and divots, too. Heck, we even stepped on the ball a few times to see how the club fared from the nastiest of lies. Nothing could stop the iRT… or knock the Machete Rails off course. "The rails cut through the high grass much better than the flat surface of the hybrid I've been using. 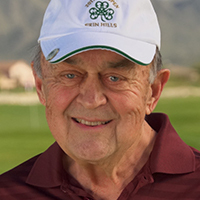 Since I have a high handicap, any help I can get is welcome, and this club provides exactly the kind of help that I need." See? I told you they loved the iRT. I’ll stop here for a moment, because I’m dying to know: Do you like what you’ve heard so far? Are you tired of hitting that low-right flare and getting the same so-so results from your current (and past) hybrids? Do the iRT’s Machete Rails sound like just the thing to get your game on track? Would you love to see the kind of immediate improvement the iRT delivered for two dozen of your fellow amateurs? If so, there’s no reason to stick around. Just click the button below to get started. Earlier, I explained how the Machete Rails work. You’ve seen video evidence of their impact and read rave reviews from golfers who’ve experienced the iRT firsthand. And yet, I suspect you have some questions – and you want answers before investing your hard-earned money in a club you’ve never heard of. Hopefully, this Q&A section will make your decision as easy as, well, hitting the iRT. 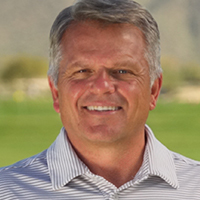 Q: How can an independent clubmaker build a better hybrid than the ones already on the market? A: Great question. I’ll let you in on a little secret. The iRT’s designers actually have extensive experience with major equipment companies. In fact, several of their creations have earned Golf Digest Hot List honors. In short, these guys know what they’re doing. And we’re delighted they’re doing it for us. Q: I tend to hook my hybrids. Will the Machete Rails make my shots straighter, or will my hooks get worse? A: I had that very question prior to testing. Indeed, several of our test golfers reported hooking the ball with their own hybrids – yet none of them did it with the iRT. Two single-digit handicappers, Dennis McCann (8.5) and Scott German (4), even saw their low hooks turn into soft fades with the iRT. Q: How far can I expect to hit the iRT? 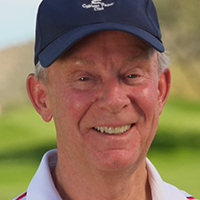 A: I can’t say for sure without knowing your clubhead speed and other factors, so I’ll offer a hypothetical. 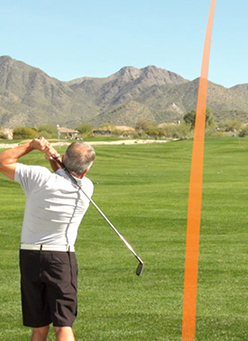 Let’s say you swing the iRT at 80 MPH – about average for a male golfer with a hybrid. You’ll probably hit it around 170 – 175 yards. 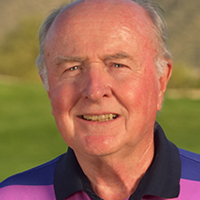 Q: I’m a low-handicap golfer. Is this club right for me, or is it for less-skilled players? I replaced my own hybrid with the iRT. I may be retired from the PGA Tour, but I still like to play and I swing at tour-level speeds. This club does everything I want a hybrid to do, and some things I never thought a hybrid could do. I’m confident it will do the same for you. 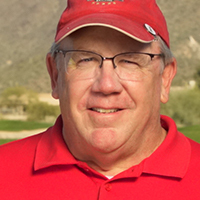 Q: Is the iRT legal for use under USGA and R&A rules? 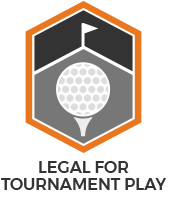 A: Yes, it’s 100% conforming and legal for all play, including tournaments. Q: I’m not keen on buying a club without trying it first. What if I don’t like it? You’ve seen what the Machete Rails do, and how beautifully they work for golfers of all skill levels. You’ve read gushing praise from those who’ve tried the iRT (including yours truly). You’ve perused the Q&A and, I hope, had any remaining questions answered to your satisfaction. Those monster par 4s aren’t gonna tame themselves. You know what they say: There’s no time like the present. I can only think of one reason you didn’t click the link and head straight to the order page: You want to see the price. Ah, yes, the ol’ bottom line. A new hybrid from most any other brand (and we know how those have let you down) – typically around $250. The latest mass-market fairway wood (also destined to disappoint) – somewhere in the $300 range. A hand-held GPS unit or rangefinder (which don’t help much when you’ve got no prayer to reach the green) – prepare to spend at least $250 for a nice GPS device, and $350-plus for a decent rangefinder. Greens fees at a top-notch golf course or resort (where all the pampering does exactly zilch for your game) – I hope your $200… $300… or $400 buys a memorable experience. By “limited-time-only,” we’re not talking a year here… you may be looking at a window of a week or two before our initial iRT inventory is all gone – and this special price along with it. Buy today and you’ll not only save $50 vs. what you’ll pay for the iRT later. You’ll save $70 or more vs. the price of a similar club purchased through a retail chain or manufacturer. We’re so sure you’ll love the iRT Hybrid’s insanely consistent, high-trajectory, deadly accurate performance, we welcome you to rip open the package the instant yours arrives – then take it to the range or course for a full-throttle, no-holds-barred workout. Heck, hit it all day, every day for two whole months and if the iRT doesn’t blow the doors off any hybrid you’ve ever played, send it back and we’ll refund the full purchase price (minus shipping & handling). This decision seems pretty clear-cut, too. But I want boil down the key details into one bite-sized summary. That’s the iRT-5: The first club to fulfill the promise of hybrids. It’s about time – and so is this offer. You won’t find a better opportunity to save cash and strokes in one fell swoop. So go ahead, try one today. 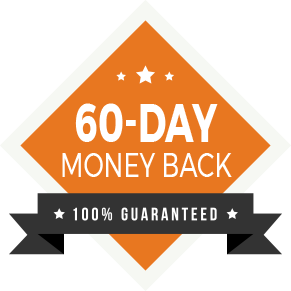 We're confident you're going to love it, and if you don't, you can send it back within 60 days for a refund. Do you need a RIGHT- or LEFT-handed iRT? If you have any questions about the all-new iRT-5 or if you would like to order by phone, please call 888-440-9525 between the hours of 9AM and 5PM CST and our friendly customer support team will be happy to help you. Would you like to try the iRT-5 Hybrid for $1?